A criminal investigation has been launched into Vauxhall Zafira fires, the Driver and Vehicle Standards Agency (DVSA) has confirmed. A Transport Committee report last year said the carmaker was too slow to begin a full investigation into fires affecting Zafira B models. The DVSA has teamed up with Luton Borough Council’s trading standards officers to investigate Vauxhall. Vauxhall is understood to be complying with the investigation. The carmaker – which has its headquarters in Luton – says 92% of the affected models have been recalled. In a statement, the government agency said: “DVSA’s priority is to protect you from unsafe drivers and vehicles. “We have made it clear to manufacturers that to protect consumers, they should swiftly rectify problems and meet their obligations under the code of practice. 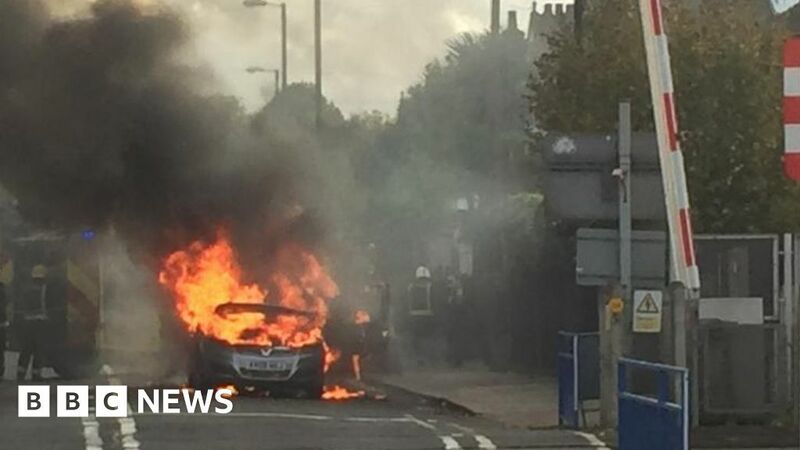 The first reported incident of a Zafira catching fire was noted by Vauxhall in 2009, but it took until August 2015 for the carmaker to launch an investigation, after recording 161 reports of fires. In some cases, the fires were serious enough to destroy the entire vehicle, and victims were left with mere seconds to escape. In November 2015, Vauxhall issued a recall for 200,000 Zafira B cars, and then a second recall for 234,000 cars of the same model in May 2016. The carmaker said the fires were caused by “unauthorised repair” of the thermal fuse in the vehicle’s blower resistor. MPs in the Transport Committee concluded in their report that Vauxhall had shown “a reckless disregard for safety” of drivers. Can traditional healers help fight HIV? August 9, 2018 Comments Off on Japanese racing driver Keiko Ihara shares her story.